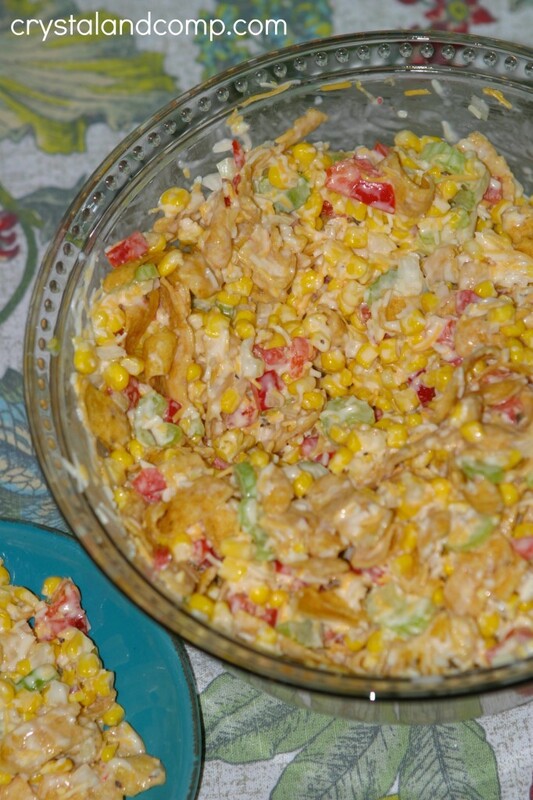 Have you ever had corn salad? Sounds a little different, right? Well, you’re going to love this recipe and it is amazing to eat year round. 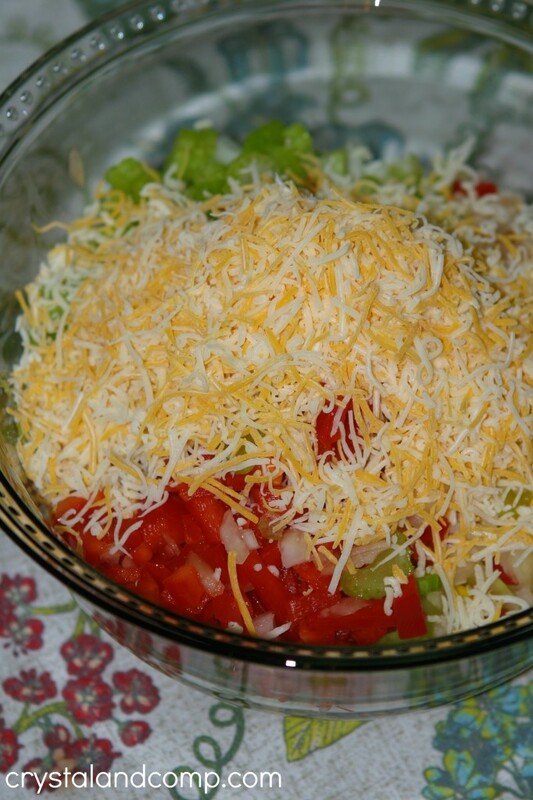 I have shared many of my friend Kim’s family recipes here on my site. This is one of them. 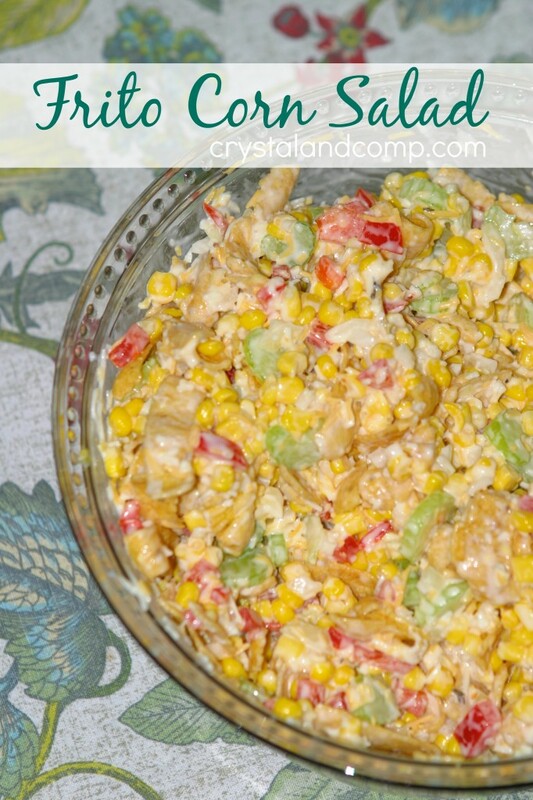 The recipe comes from her mother-in-law and any time of year that you attend a function at their house, this corn salad is generally served. I thought it would be perfect for your upcoming Christmas party planning. 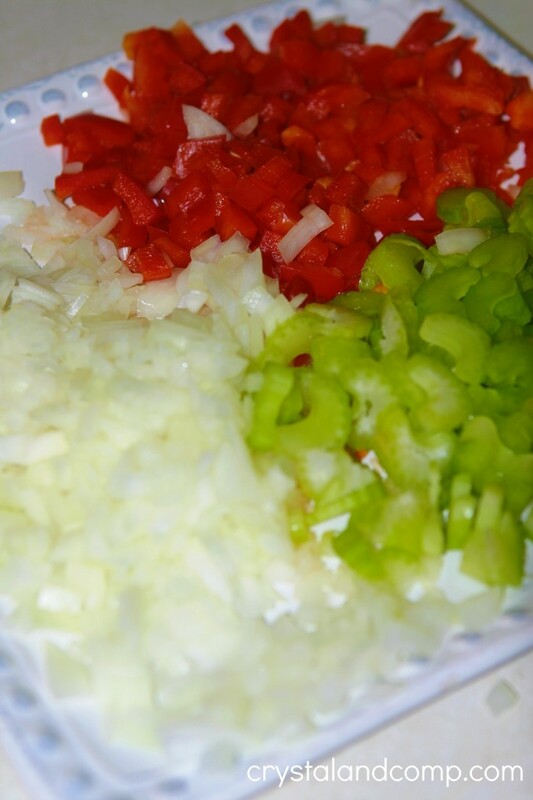 Gather your chopped and diced onion, bell pepper and celery. Grab your drained cans of corn. Add the corn and veggies to a large mixing bowl. Add in the cheese too. 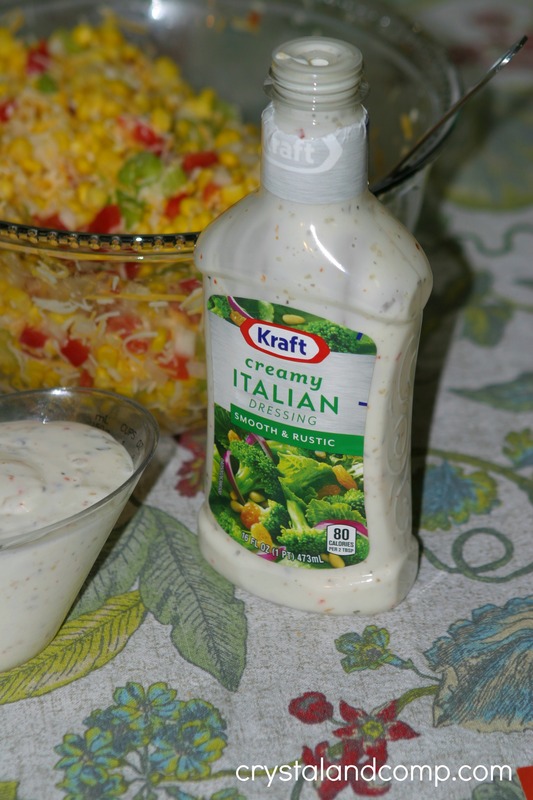 Measure out 1 c of the Creamy Italian dressing. Pour it over the corn salad and mix well. Once you’re ready to serve this add 1 bag of Fritos. Stir it all up to combine well. And you’re done. Plate it up in small portions and let everyone enjoy! We love this and it even make a delicious lunch or snack during the middle of the day. Doesn’t this make entertaining easy? Did you know that right now you can save up to $20 on participating Kraft items at Target? This is just in time for the holiday party season! Hop over to Target to get these exclusive Kraft coupons!